While nothing will make doing laundry FUN, it can be more enjoyable! As your home remodeling company, Columbus Ohio, we have found that when we tackle a laundry room renovation, our clients definitely have an opinion on what they want, and don’t want in their space. Since most of us are experienced in laundry, I mean how many hours do you put into it until you are a verified expert…it is easy to think of all of our MUST HAVES. The humble laundry room is evolving into a much more polished, luxurious space. These rooms are no longer just for washing clothes; they’re multifunctional utility spaces with design and purpose! Families want more storage, built-in convenience, and spaces that serve more than one purpose. A laundry room can cover all three! You should put emphasis on smart storage. It’s more than just adding some cabinets. It’s knowing your lifestyle to incorporate storage solutions that fit your needs. Aside from storage, a laundry space should accommodate specialized amenities to fit your lifestyle. You’ll definitely need workstations for doing the laundry, like a place to organize dirty or clean clothes and a folding surface. But you can include many other amenities as well, like gardening, crafting, sewing, gift wrapping, a home office, or even a pet grooming station. Most importantly, your laundry room should accommodate the way you actually live. Maybe that means making a clothes-washing space on the main level of your home… or maybe in the entryway, or on the second floor by your bedroom. 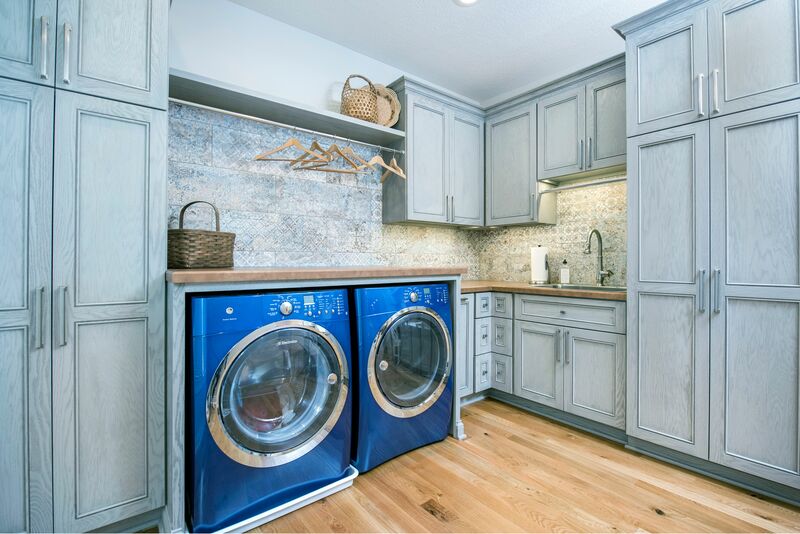 Whatever you need to make your home more livable, try combining it with the multi-functionality of your brand new laundry room! With your input and our experience the project is sure to be a success!